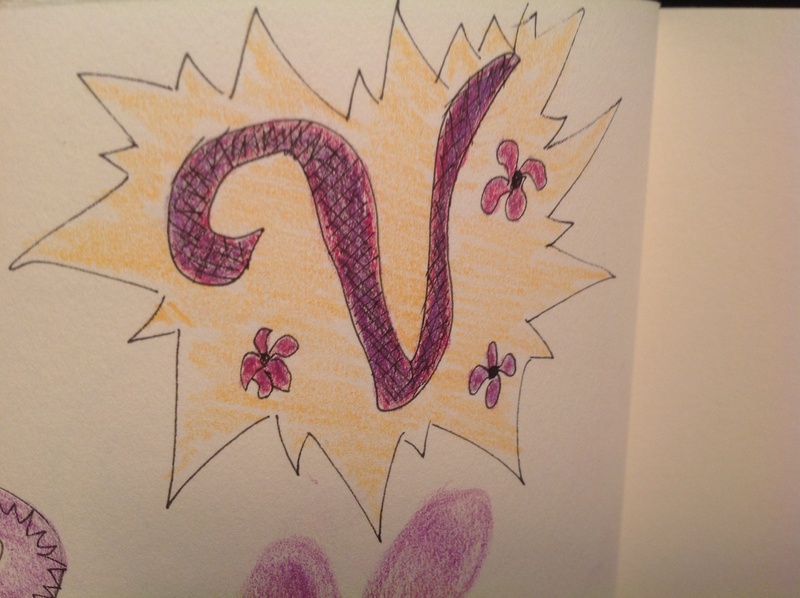 V is for the actual letter V…hold on to your hat! Tried a vole, tried a violet. 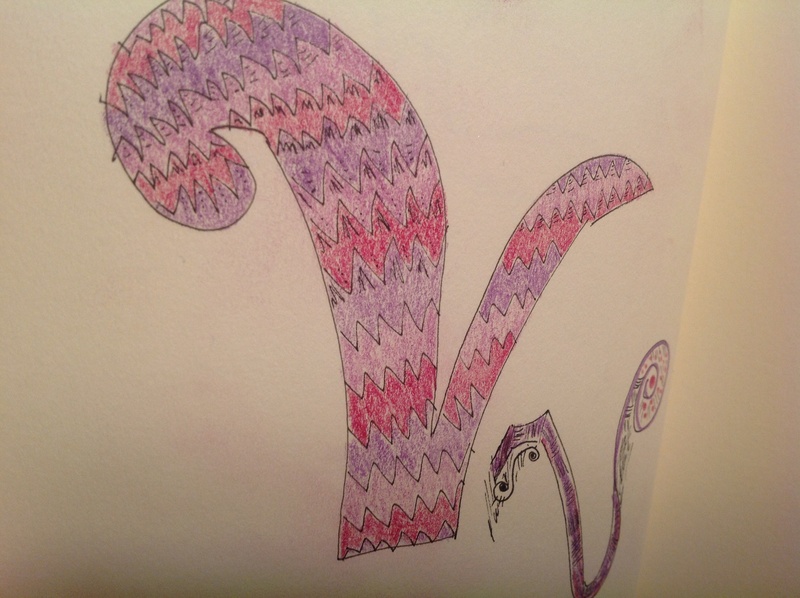 Didn’t like either one so doodled and colored some V’s instead. Aren’t you glad you stopped by?! You wouldn’t have wanted to miss this, I know. Micron pen and Polychromos, Strathmore art journal. Hoping for more inspiration tomorrow. See you then! < U is for … Unrecognizable Male Face! What’s inspiring to me is that you are trying different stuff. I want to try different stuff. Kudos. Well, thanks. You have to do something when your blog name is create art everyday lol. I’m starting to feel a bit of pressure, actually…..need t get my phaser gun and blast that out, as it’s not helping. Yay! I mean, it’s a great letter! I love it! It has always been a favorite letter of mine. It’s so, well…personal!